During the second Count Tiškevičius photography plein-air, which took place in the autumn of 2015 in Raudondvaris, the photo artists Vytautas Pletkus, Gintautas Trimakas, Giedrius Petrauskas, Petras Saulėnas, Dovilis Paliukas, Bogdanas Kanopka, shared their experience and invited to take a walk around the town. According to V. Pletkus, “time alters our relationship with the environment, our attitude towards it. Our inner state and mood have no less significance”, therefore the participants, armed with analogue cameras, were encouraged to stray away from the tourist routes, to “tame” Raudondvaris in the creative sense. They individually captured the hidden signs of the present as well as the disappearing relics of the past – some in 36 frame film, others with large format analogue cameras. The first Count Tiškevičius photography plein-air was held in October 2013. Its participants, together with the photographers G. Trimakas, P. Saulėnas and D. Paliukas, walked on the periphery of analogue photography – took pictures using pinhole cameras made by themselves, delighted in unique results of the direct positive technique. The plein-air, named after the owner of Raudondvaris Manor, a famous late 19th – early 20th century photographer and traveller Benediktas Henrikas Tiškevičius, will be held every year. 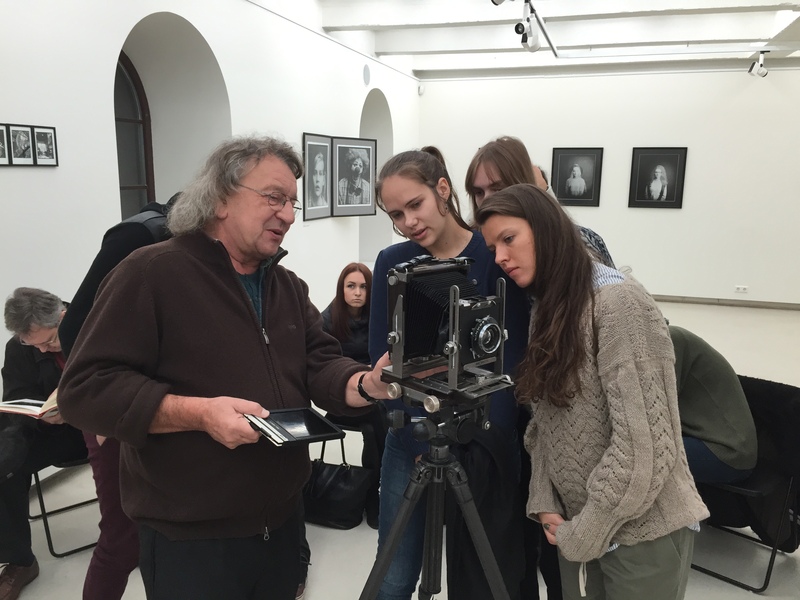 According its deviser and the chairman of the Union of Lithuanian Art Photographers Kaunas department Gintaras Česonis, one of the main goals of the event is to share the experience, take a look back at analogue photography, its subtleties and mysteries. Even though the Count Tiškevičius photography plein-air is aimed towards the young photographers, there is no age limit for participants. The particularities of the analogue photography medium conditions work in closed groups (the previous plein-airs were limited to around a dozen participants, last year over 50 participants took part), but it is actively sought to involve the local community and the results will be presented to a wider part of the society.